The thread-leaf blue star was originally found in 1942 by Leslie Hubrict, for whom the species is named. 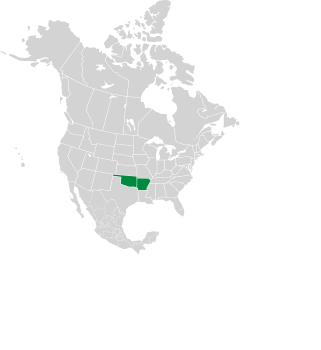 It is found only in Arkansas and Oklahoma in the US. Identification: The flowers are a light blue-gray color, tending toward white later in the season. The flowers have five sharp petals, and occur in masses. Leaves are narrow, similar to needles, and turn brilliant yellow in the fall. Thread-leaf blue star looks similar to blue star (Amsonia ciliata), but has more needle-like foliage. Blue star has a wider range in the southeastern US, while the thread-leaf species is only present in AK and OK. Both of these plants are frequently called blue star. 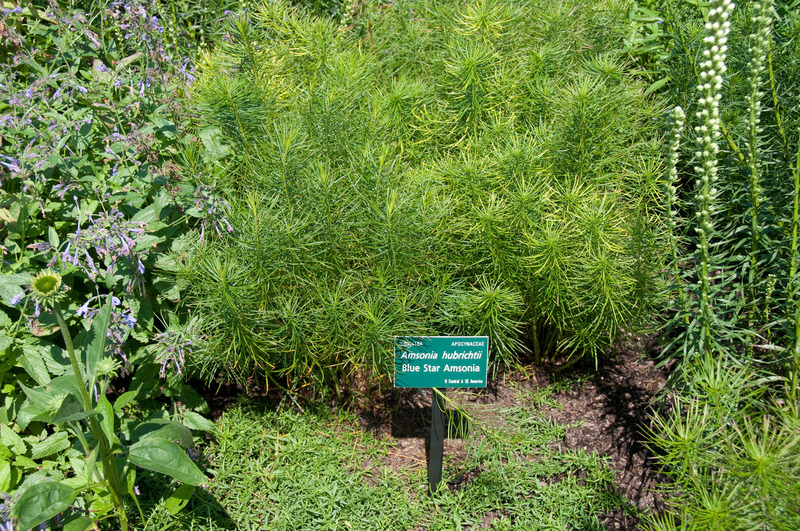 Amsonia hubrichtii description by Thomas H. Kent, last updated 12 Oct 2018.